Hello everyone! 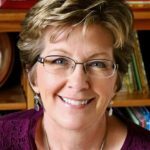 I believe there are many reasons for writing the stories we do. 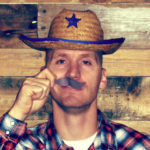 Maybe it’s a personal adventure we want to share; or a desire to make people laugh or think; or even just the need to create something – I couldn’t possibly guess all the reasons. 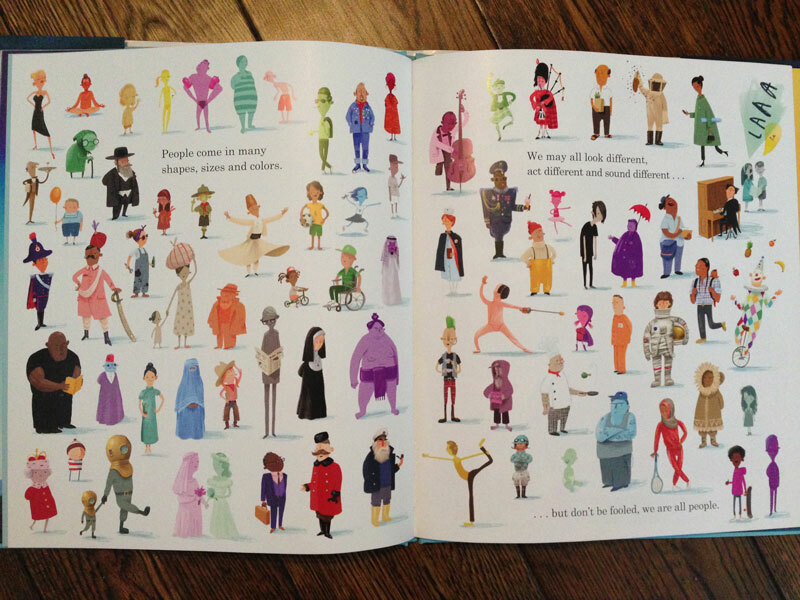 In Here We Are, by Oliver Jeffers, I don’t have to guess. We have letter from Oliver, to his new son, about all the things he thinks he needs to know (I know because he says so in the dedication). Here We Are: Notes For Living on Planet Earth is the kind of book I would have just spent countless hours pouring over the details. It actually reminded me of one of my favorite books, People, by Peter Spier but, with a bit more of a personal feel. It’s a book that’s a bit of a mix of informational and educational, with sweet messages and humor. We’ve seen the later from Jeffers before, but the first two are newer for him – and it turns out he’s quite fantastic at it. 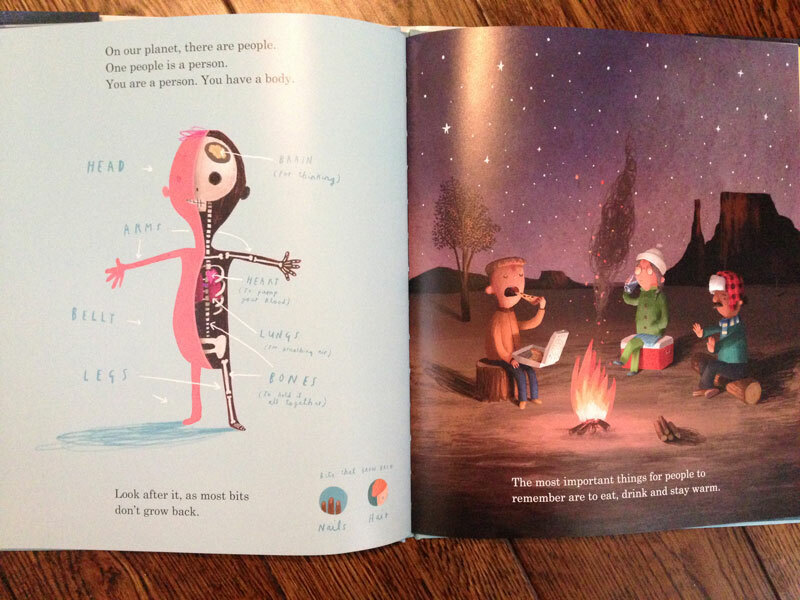 Soon we’re at the “human” level, and we’re seeing a diagram of the human body’s anatomy – Jeffers Style. Nice little sub note about needing to take care of it as most of it doesn’t grow back while showing the two bits that do! Facing page indicates what “people, and one people is a person” – need to survive. 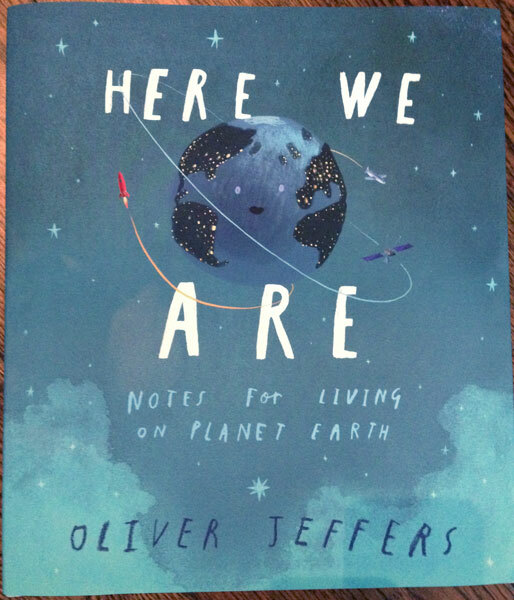 I really appreciate how Jeffers combined the idea of learning about the earth, where we live, and the scientific side of questions, with some of the other details that involve being a human – like that there are many kinds of us, and that we are ALL people; that we’re to take care of ourselves and those around us (including the animals). He also rounds things up with a nice transition into acknowledging the need for patience and that it’s okay to wait as we seek to understand. Also that while we’re to enjoy those quiet times, that time does go by fast, so don’t take it for granted. He ends with the hope in that we don’t need all the answers, but there are those who will help us find them and those we will then be able to help as well. I would encourage you to take a look at Here We Are. It’s a good reminder that we should take up the challenge to write outside our normal bounds and see what could happen. Oliver Jeffers has used the idea of a deeply personal and educational message, to do something special. 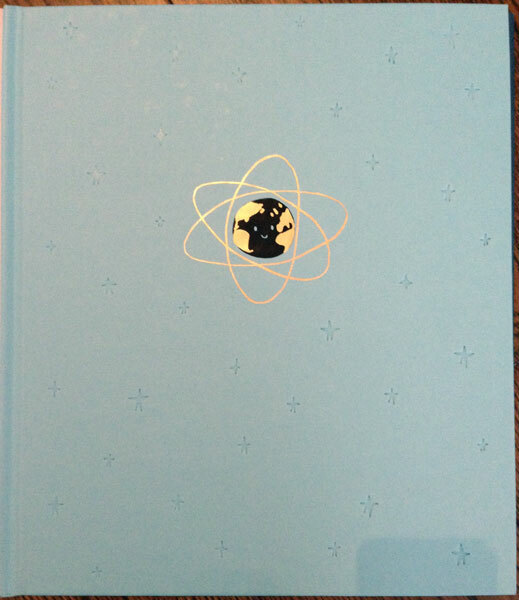 Bonus Note: Look under the jacket at the case cover! 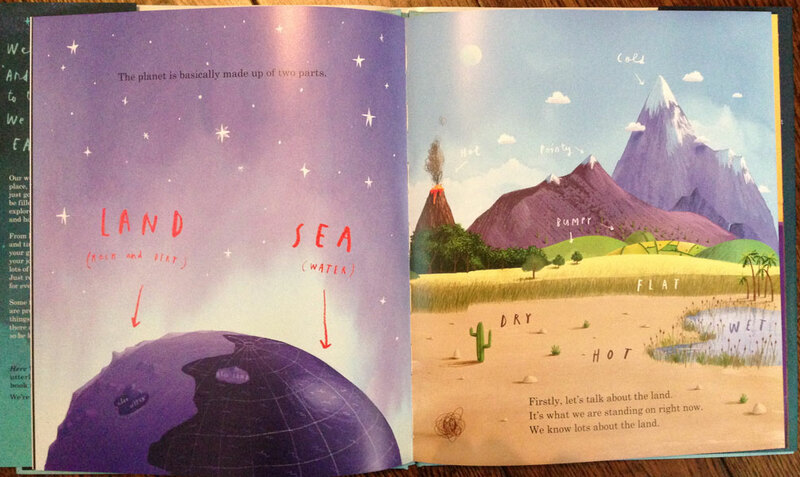 educational, Here We Are, Oliver Jeffers. Bookmark. What a beautiful post and reminder! 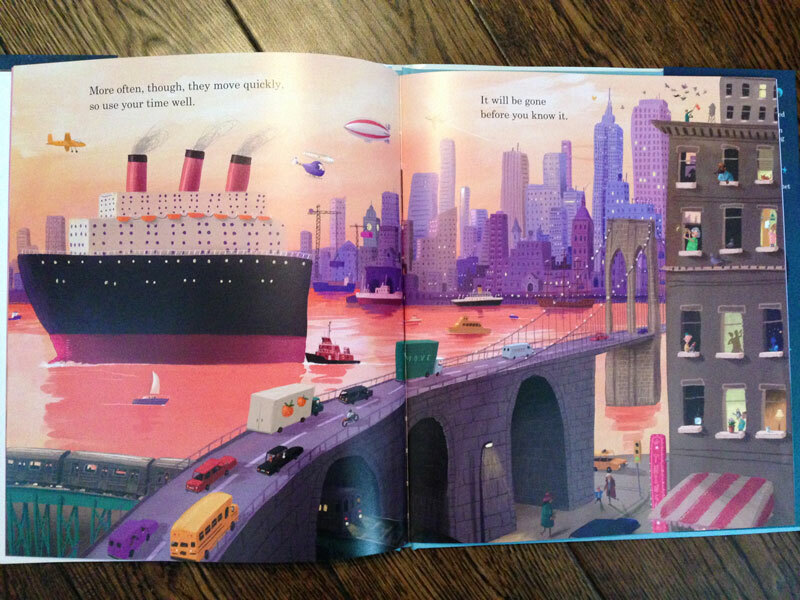 I love how Oliver Jeffers can take a subject as complicated as life on earth and get right to the heart of it and make it relatable to both kids and adults. Looks like a lovely book. Thanks for sharing it, Mike. YES! He really nailed it, didn’t he. Thanks, Judy. Thanks for sharing, Mike! I’m looking forward to checking this out. This one’s already on my list. Looks beautiful and sounds so inspirational. Can’t wait to see it for myself! I hope you’ll love it too, Jill. This looks fabulous. Can’t wait to read it! Thanks, Mike, and happy holidays! Thanks for stopping by, Linda! Happy Holidays to you as well! The appears to be so many things the reader to as see as talking point or something to learn more about! Yes, there really are, Terri! Thanks for your comments! 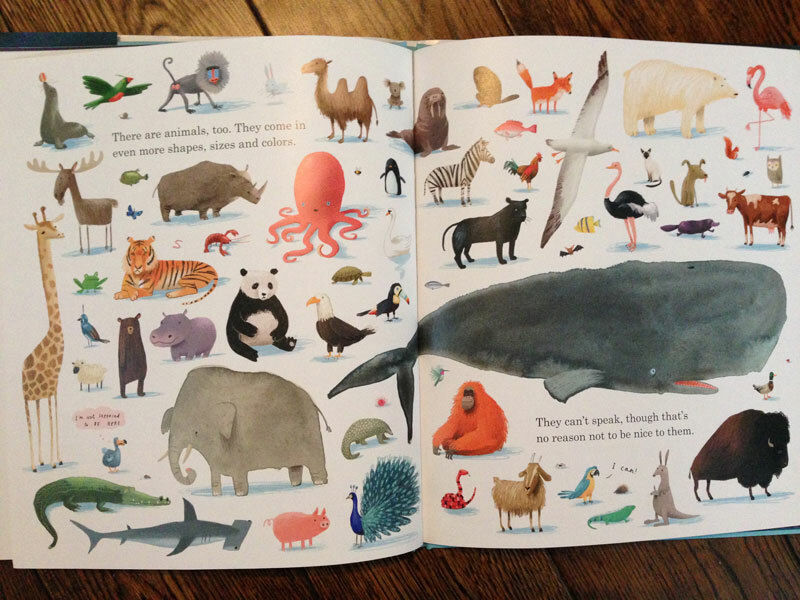 I simply cannot believe that Oliver Jeffers has been on a book tour in Massachusetts this past week and I have been unable to attend a single event! I shall content myself with reading his books and hope for a more flexible schedule during his next visit. 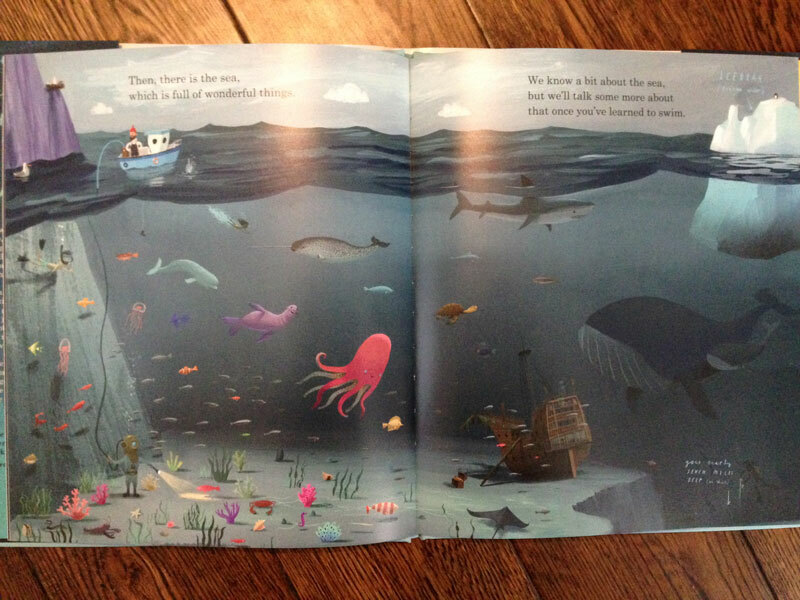 Thanks for sharing this book glimpse! Ouch! That would be painful! Hopefully next time indeed. Thank you for stopping by, Cathy! I’ll admit, with the influx of touchy-feely books of late I did not expect much before I read it, but it does push all the right buttons without being saccharine. I think I was just as surprised. Didn’t really draw me in at first either. Thanks, Julie. Oh, this looks like a keeper! Can’t wait to get my hands on it! Thanks for sharing! Merry Christmas and Happy New Year! It is a keeper! Merry Christmas and Happy New Year to you too, Angie. CANNOT WAIT TO SEE THIS! Thanks, Mike! Thank you, Jennifer. I hope you enjoy it as much as I did. As a reading specialist, I would LOVE to read this book to a classroom of kids. Love this! Adding it to my list! I put it on hold at the library. Cannot wait to read and savor it. Recently read this one and totally agree with your comments, Mike. I can see this one becoming a baby shower gift.